Christine wakes in a strange bed beside a man she does not recognise. In the bathroom she finds a photograph of him taped to the mirror, and beneath it the words 'Your husband'. 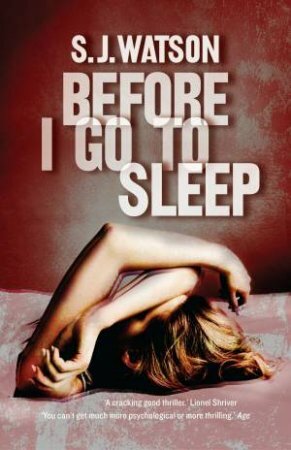 Chilling, exquisitely crafted and compulsively readable, S. J. Watson's debut novel Before I Go to Sleep is a psychological thriller of the highest order. It asks primary questions. Are there things best not remembered? Who are we if we do not know our own history? How do we love without memory?